It’s been a busy month for me as I finish up final edits on four manuscripts. I won’t go into the messy details that got me into this way of writing because I have other news to share. The annual CYBILS Award (Children’s and Young Adult Bloggers’ Literary Awards) season is upon us and I’ve been chosen as a Round 2 judge in the Middle Grade Fiction category. Nominations in a variety of picture book, MG, and YA categories begin on October 1st and continue through October 15th. Anyone can nominate at http://www.cybils.com/. After all the nominations are in, the Round 1 judging panel takes over narrowing the list to a select group of books. The Round 2 judges begin there work on January 1st reading every finalist selection (I’m hoping I’ve read a few by then). The award winners are announced on Feb. 14, 2016. I can’t wait! About a year ago I was asked to write a short piece for the great folks at CHILDREN’S BOOK INSIDER: WRITE FOR KIDS. I wrote the page, sent it off, and that was that. 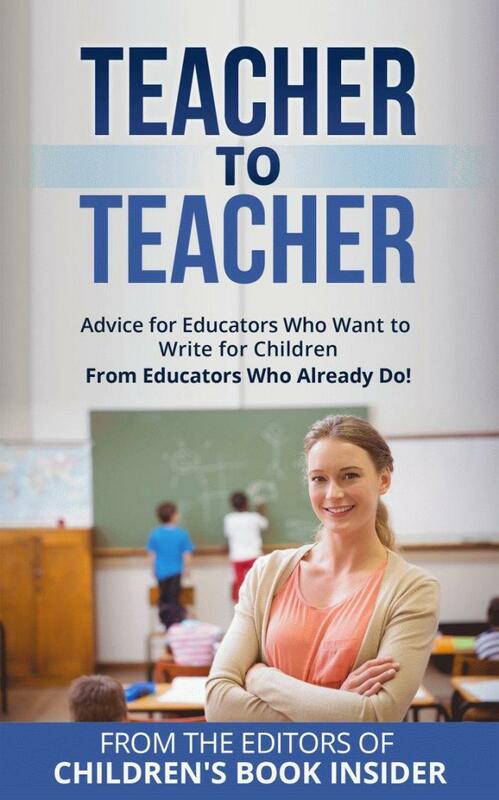 Many other educators did the same and they have compiled all this advice into an e-book. Writing a Children’s book. It’s a journey I knew nothing about five years ago. I had many misconceptions and it took me this long to do things the right way. Here are the roadblocks to avoid that will hopefully bring you success in your journey. DOING THINGS TOO QUICKLY. I wrote my first story in about three months and thought by the next year I’d be seeing it on the bookshelf. That was the teacher coming out in me; always meeting that next deadline or getting to the next meeting on time. Get it done and check it off. Well, relax. Sit back and write your story. Let it sit for a month. Read it again for first revisions. Let it sit for another month. Revise again. Next get a few people to critique your story. Preferably not teaching mates or family, they’ll be too nice. Revise again and again and again. YOU THINK YOU KNOW HOW TO WRITE A NOVEL.Take a class, get reading the many fine blogs out there, or check out the great books available that will teach you how, and of course join Children’s Book Insider and SCBWI (Society of Children’s Book Writers and Illustrators). CRITICISM. You should be ready for this one because as a teacher you are constantly under the radar by students, parents, and administrators. Your writing will be no different. Take each piece of advice and let it simmer for a few days. No one wants you to fail. The people I have met and worked with only served to make me a better writer. DON’T STOP READING. In fact read more, especially in your chosen genre. You’ll learn many things about plot and character development from the many gifted children’s authors active today. IT’S NOT A VACATION. Yes, you may have a summer free from grading papers, piling up in-service credits, or planning curriculum, but be prepared for that time to be filled with writing, revising, reading, and networking. Also, after living in the teaching world you may have a hard time adjusting to the fact that writing is a solitary endeavor. You’ll be alone with your thoughts 90% of the time. What will push you forward is your love of writing and connecting with an age group you’ve been around so much. My entire professional adult life has been spent teaching, mentoring, and now writing to the MG group. Creating a great middle grade story is hands down the hardest job I’ve ever had! This entry was posted in Reading, Resources, Reviews and tagged 2015 CYBILS, Children's Book Insider, Middle grade, Teacher to Teacher. Bookmark the permalink. Thanks. I try and avoid things not going well. It works most of the time. Congrats on all your great news. That’s awesome you are a judge for the Cybils and got your article published..
Congratulations! I’m glad you’re one of the judges this year for the Cybils. I have my list and only a day to enter my favorites. Enjoyed your article — great pointers. Thank you. Looking forward to the nominations as I was able to nominate the winning entry last year, NICKLE BAY NICK. I’m sure you have a great list. That’s so hard when we are programmed to get things done in a timely manner. I’ve learned to slow down. Nice article. Thanks for sharing it. Revising FOUR manuscripts??? Holy Guacamole, Greg! That’s kind of crazy! Good luck with that. Being chosen for a judge is quite an honor, but I know they can contain you to do a great job. Yes, crazy I know. I wrote one story and to keep myself occupied between critiques and edits I wrote another. Followed that cycle through two more. I’ll finish the third this weekend and start work on the fourth next week. They are all such different stories that It has helped to concentrate on one while the others are sleeping. Too bad it’s taken four years. so awesome, congrats!! and I was the same, I’d just rush through to call it finished and had no clue how long a MS had to sit and change before it was ready!